We have gradually reached an era where there seems to be no existence of humanity; at least this is what is apparently visible considering the heinous crimes happening against women and kids. Shockingly, gang-rapes seem to have become so common that you may stumble upon a couple of news of the same every week but what if brutality with babies is also involved at the same time? Yes, the recent dreadful incident which happened on 29th May in Gurugram took inhumanity to a new level. 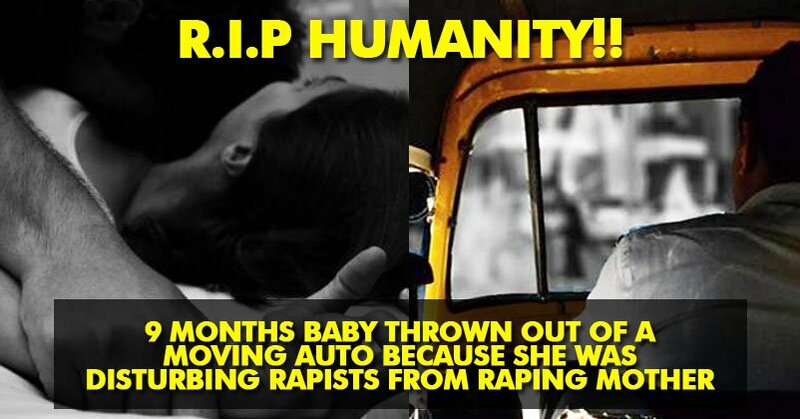 Three men not only gang-raped a woman of 23 in a moving autorickshaw but also murdered her nine months old little daughter who was thrown out of the rickshaw as she was “distracting” the rapists. 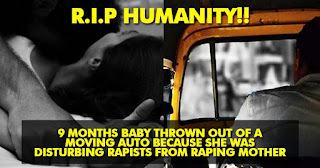 Even though this appalling incident took place on 29th May and an FIR of the baby’s murder and molestation was filed, it was on 5th June that the woman disclosed the shocking account of the dreadful happening. Sketches of all those three accused are prepared and the cops are searching for a video of the recording which might help them in catching the accused.